The fort & town of Jaisalmer was founded by Maharawal Jaisal in the year 1156 AD after having shifted his capital from Ludharva, which was 18 kms. away from Jaisalmer. The ruling family of the erstwhile Jaisalmer State belongs to Bhati Clan of Yadu Rajputs of Chandravanshi (Lunar) race who claim descent from Lord Krishna, the defied hero who ruled at Dwarka. 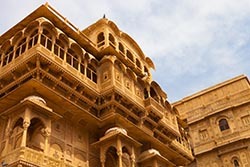 Jaisalmer district is bestowed with art, architecture, culture and traditions full of color and music. The folk music of desert is an outstanding culmination of long traditions mixed with varied social customs and inherent concept of classical music revealing the life of desert. We would be in this desert town for 3 days. We checked in at Mahaindra Resorts that was a few kms. away from town. Since we had a car on hand, the distance was not an issue. By the time we reached Jaisalmer from Jodhpur via Mundwa & Phalodi it was late in the evening. We had our dinner at the hotel and called it a day. The next morning, after breakfast we set out to explore the town. The first stop was Gadsisar Lake. This is a rain water conservation lake built by Maharawal Gadsi in the 14th century. It was once the main source of drinking water for the entire town of Jaisalmer. There are many small temples and shrines on the shores of the lake. A wide variety of water birds can be seen here especially in winter. From the Gadsisar Lake we moved towards the fort. Cars need to be parked at the base of the fort. From thereon we hired a rickshaw that took us up to the gates of the fort. The Jaisalmer fort, also known as Sonar Quila or the Golden Fort, rises from the sand and merges with the golden hues of the desert ambience. 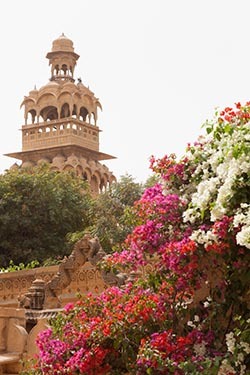 The bastions envelop a whole township that consists of the palace complex, the intricately carved havelis (mansions) of rich merchants, several temples and the residential complexes of the armies and traders placed strategically on the trade route. It was from this trade route that the ancient caravans passed, distributing the riches for the prosperity to an otherwise non resourceful kingdom. These merchants served and acquired a great deal of power and noble status in the royal courts of Bhatti Rajputs who founded the state in the 12th century AD and proceeded further. 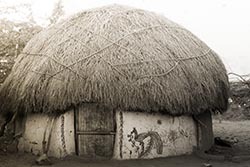 However, the rich merchants inspired by the classic style of the royals, constructed huge mansions adjacent to each other in the nature of medieval culture and profusely decorated the walls and ceilings and intricately carved the outdoors and interiors. The craftsmen were usually Muslims who were induced on their journey to exhibit their skills in art forms. Jain Temples situated in the Jaisalmer Fort is a must visit. These temples date back a few centuries and enjoy a high pilgrimage as well as archeological value. These are a group of Jain temples dating back 12th and 15th centuries and are dedicated to various Jain Tirthankars (Hermits). On the walls of the temples, one can find animal & human figures, carved in famous Dilwara style, located at Mount Abu in Rajasthan. The Jain temples in the Jaisalmer Fort are dedicated to Rikhabdevji and Shambhavdevji, the famous Jain hermits. Like all other structures in Jaisalmer, these temples are carved of yellow sandstones. The beautifully carved decorations on the wall will give you divine peace. The temples are open to visitors only up to 12 noon. There�s a small fee to enter. We had hired a guide to show us around the fort. We spent an hour walking the small lanes on the fort. There are over 3000 people who live on the fort. Really speaking, it�s a small town in itself. Standing along the narrow lanes are beautiful houses. Many of the facades had colourful paintings on their doors� announcing the wedding of one of the family members. The fort offers breathtaking views of the town below. By the time we left the fort it was 2PM. It was back to the hotel but not before enjoying our lunch at a local restaurant. 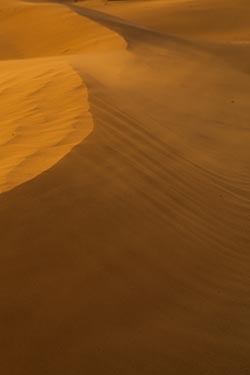 At 4 that evening, we left for the border town of Sam to witness the sand dunes and the performance of the desert artists. Sam is 45 kms. towards the west of Jaisalmer. There are many camps in Sam that offer a package that includes camel back ride, camel cart ride and a dinner accompanied by performance of local artists. The typical cost is Rupees 750 per person. We opted for a camel cart ride, though it would have been more fun on the camel back. A few hours well spent on the sand, we turned back to rest for the night. Post breakfast, the next morning, we set to explore other interesting structures of Jaisalmer - the havelis. The first stop was Nathmal Ki Haveli. Two architect brothers built the mansion in the 19th century. Interestingly, while one concentrated on the right, the other concentrated on the left and the result is a symphony epitomizing the side-by-side symmetry during construction. 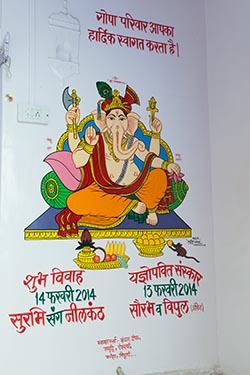 Paintings in miniature style monopolize the walls in the interior. Mighty tuskers carved out of yellow sandstone stand guard to the haveli. Just adjoining is the Patwon Ki Haveli. A group of apartments, this is one of the largest and most elaborate of Havelis in Jaisalmer and stands in a narrow lane. It is five storeys high and is extensively carved. A part of this beautiful building is owned by the Department of Archaeology and Museum. There are remnants of some paintings on the walls inside as well as some mirror work. While there, make it a point to meet with Dhana Ram Bhil who usually sits on one of the benches just outside the havelis. Dhana Ram is known for sporting a long mustache� just short of his father�s �world-record� length moustache! He will happily pose for pictures. Tipping him is recommended. 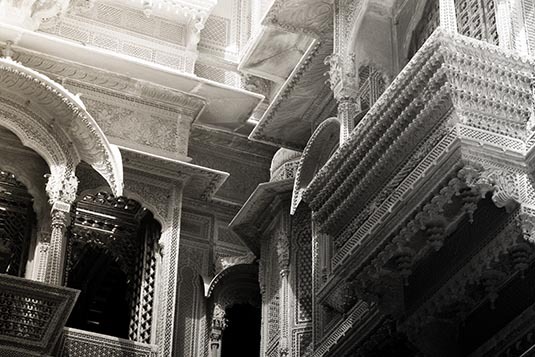 From the havelis we moved towards Mandir Palace also known as Badal Mahal � palace in the clouds. The delicate pagoda like Tazia Tower rises from Badal Mahal. Rising in its five-tiered splendour, with each storey graced by a delicately carved balcony, the tower is of historical significance. Muslim craftsmen built it in the shape of a Tazia (a float taken in procession during Muharram) as symbol of their religion in the town for royal patrons. Half portion of this palace is converted into a heritage hotel named Mandir Palace and another portion of the palace as Badal Vilas, the residence of the ex-ruler�s family. Next was a visit to Bada Bagh. Located on the Ramgarh road, a few kms. away from town. It was commissioned by Maharawal Jait Singh in the early 16th century and was completed by his son Lunakaran. Bada Bagh holds the cenotaphs of the ruling family. These cenotaphs also known as chattris were constructed by the various Bhatti rulers. One cenotaph has been erected for each ruler. The oldest among them is the cenotaph of Maharawal Jait Singh who reigned from 1470-1506. Lunch that afternoon was at Narayan Niwas a heritage hotel that belongs to the royal family. That evening we visited Khuri which was 45 kms south of Jaisalmer. The plan was to visit some authentic mud and straw decorated houses of the locals and go dune bashing in a 4-wheeler. The vehicles can be hired out there. After the thrill, we were ready to enjoy a hearty meal back at the hotel. The next morning we would leave for Jodhpur.